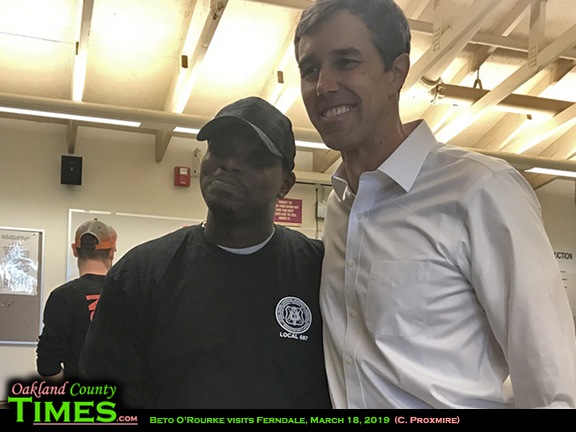 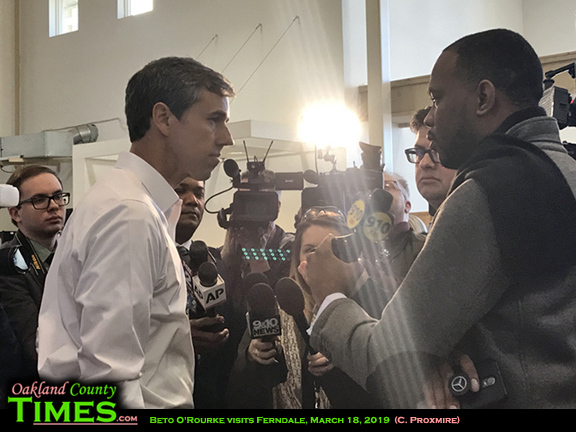 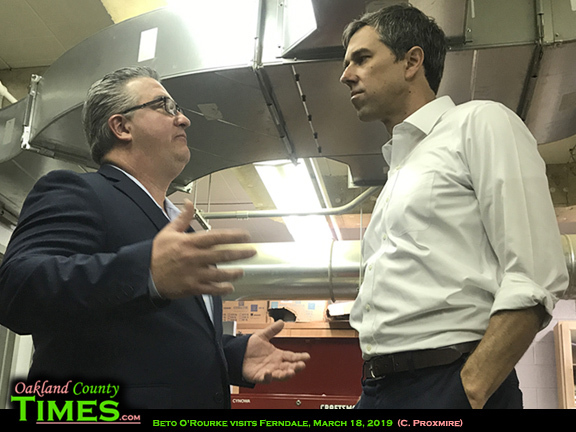 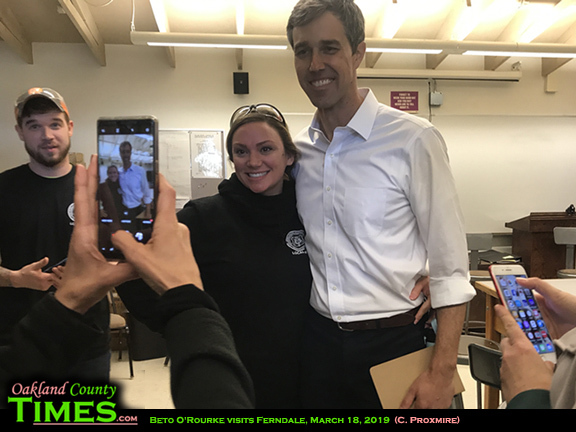 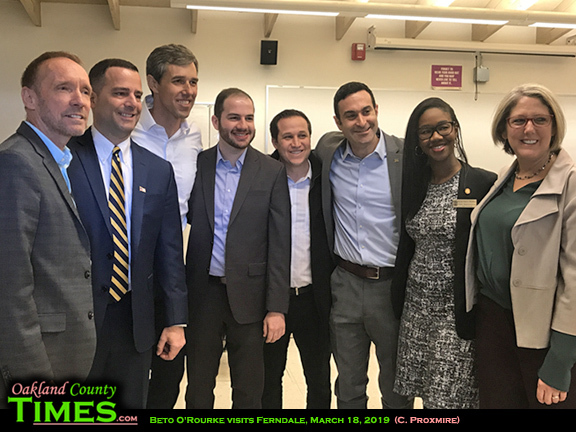 Ferndale, MI – A former El Paso City Councilperson,whose political career took him to the Texas State House and to Congress before falling shy of taking Senator Ted Cruz’s seat, visited Ferndale as one of his earliest stops on the national campaign trail for President. 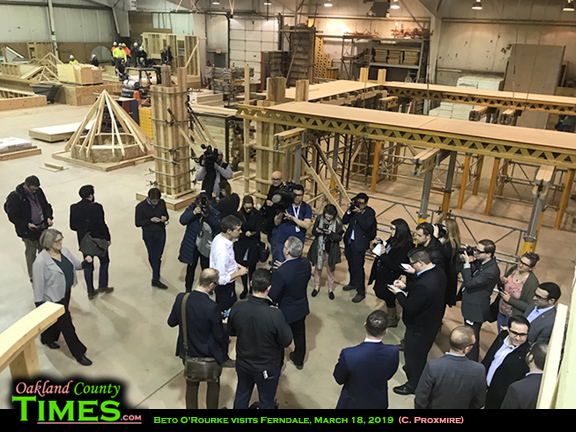 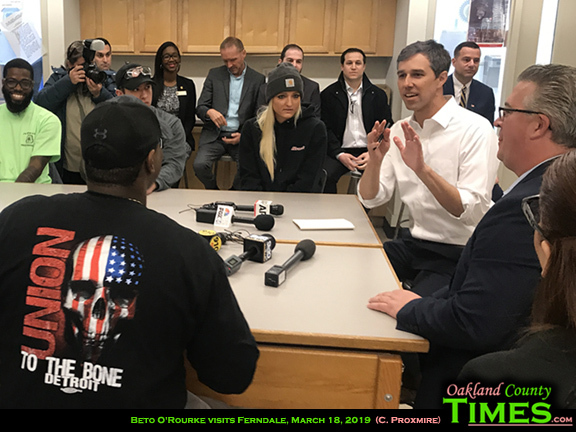 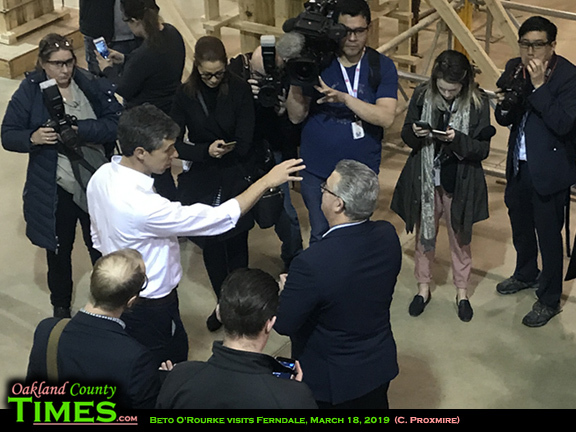 Democrat Beto O’Rourke toured the Michigan Regional Council of Carpenters training center in Ferndale’s industrial district Monday, as part of a visit to Michigan that also included stops in Livonia and Centerline. 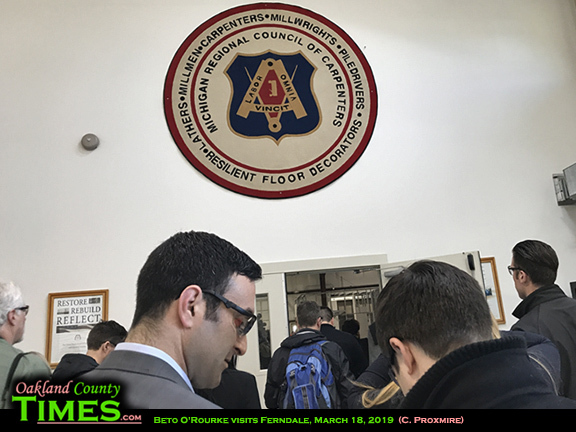 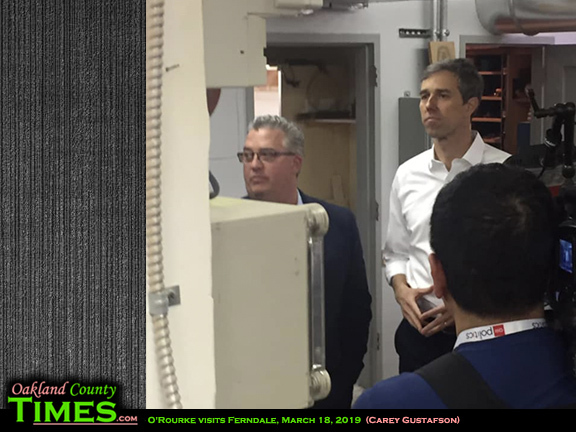 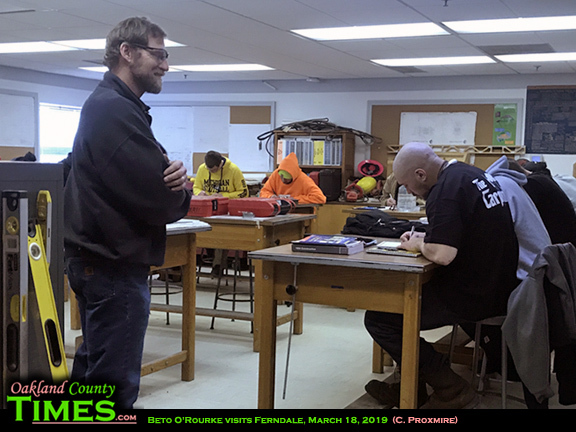 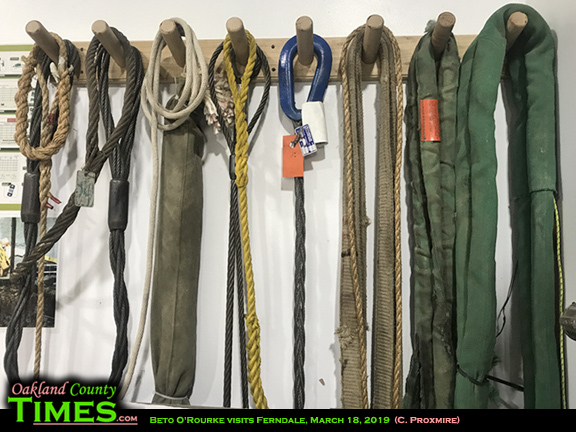 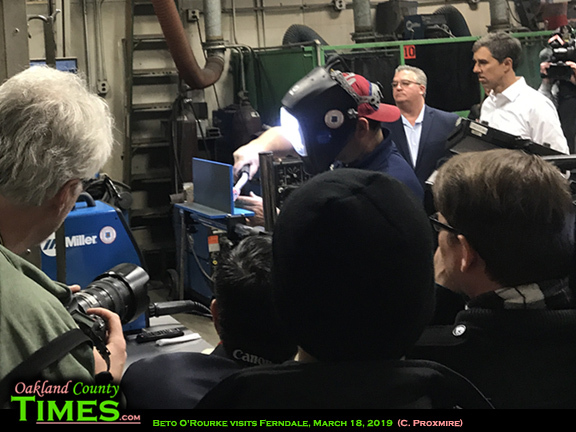 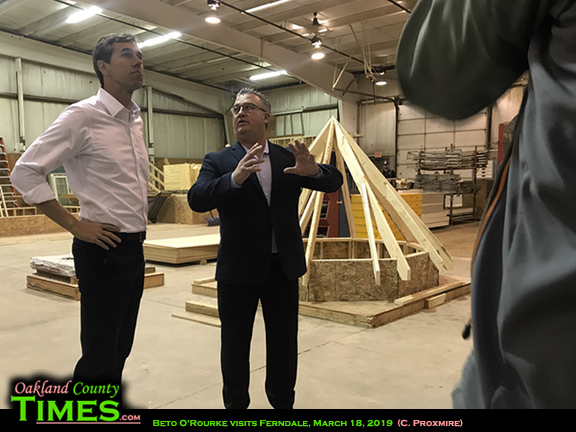 Tom Lutz, President of the Council, walked O’Rourke through the facility which has classrooms as well as large areas where construction and manufacturing skills are practiced before students head out for on the job training. 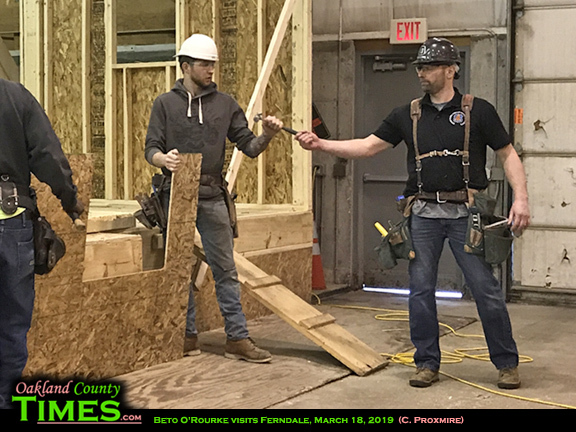 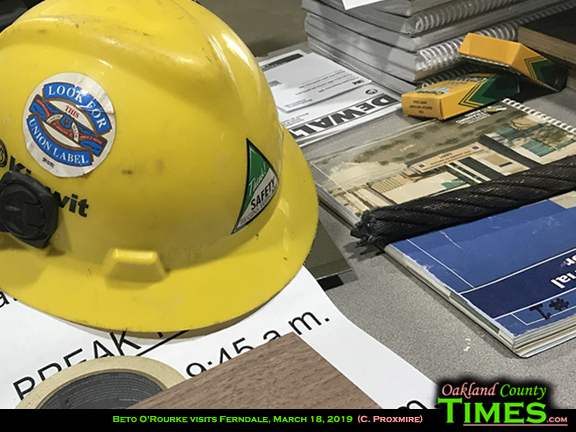 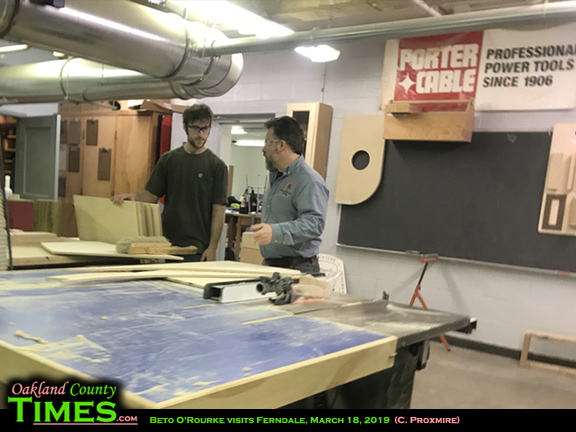 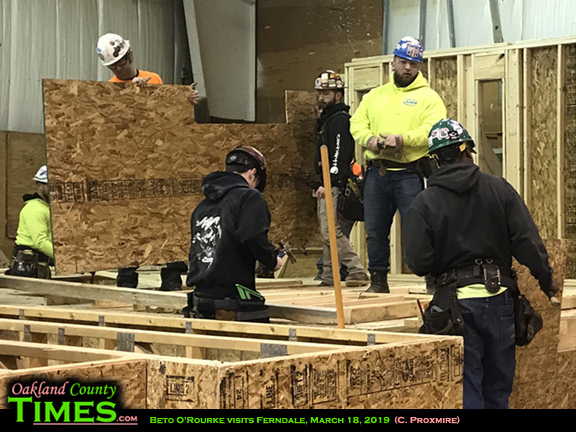 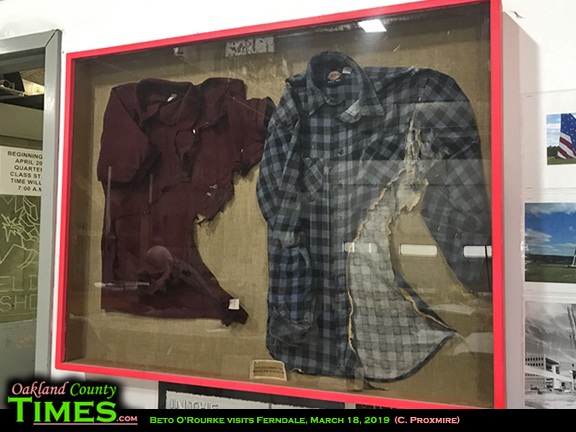 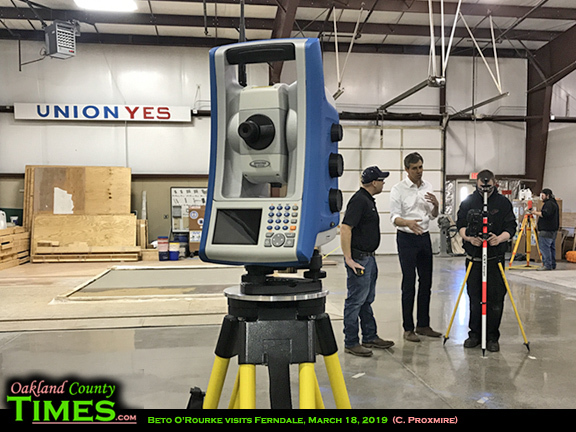 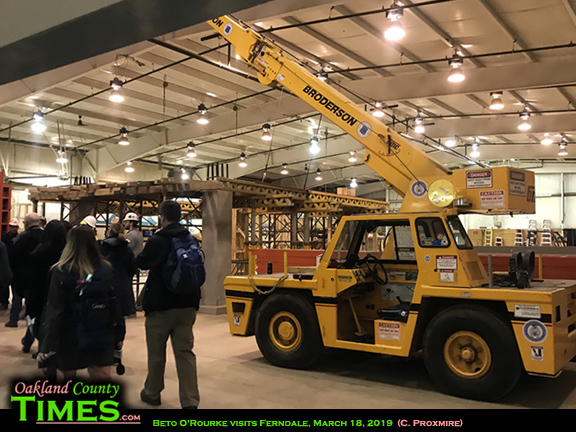 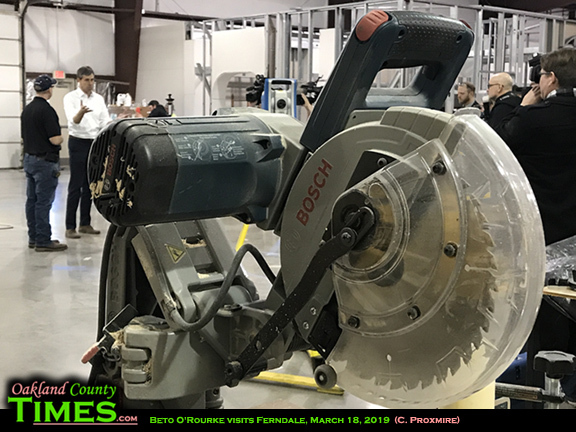 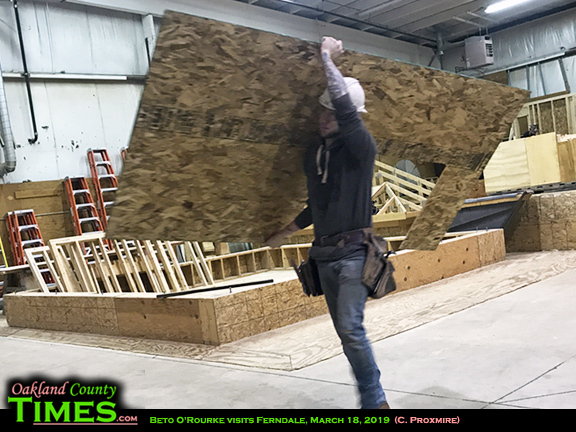 As O’Rourke took the tour, students continued their work – crafting floor joists, bolting together beams, nailing in studs to a house being built inside the school’s largest room, cutting lumber, welding metal, and many other skills that are currently in high demand. 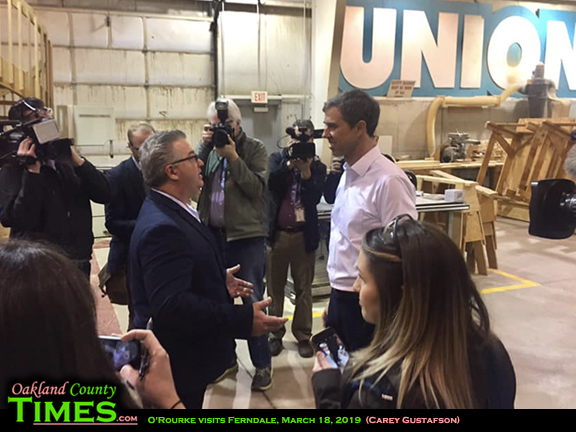 When the candidate asked Lutz what would make things better for those in the skilled trades, Lutz said that workers wanted more respect. 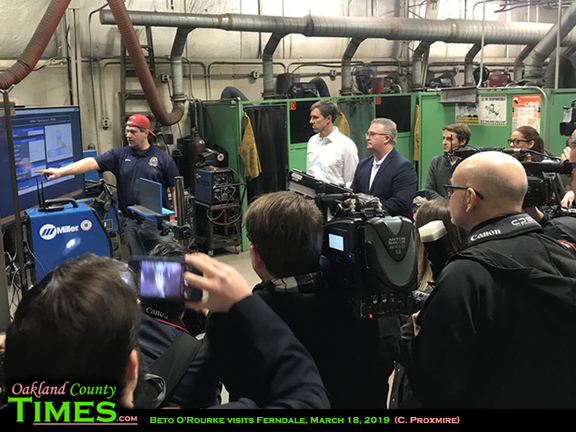 “If people are respected and they are paid well for the skills they have, their skills are valued, more people would do these jobs,” he said. 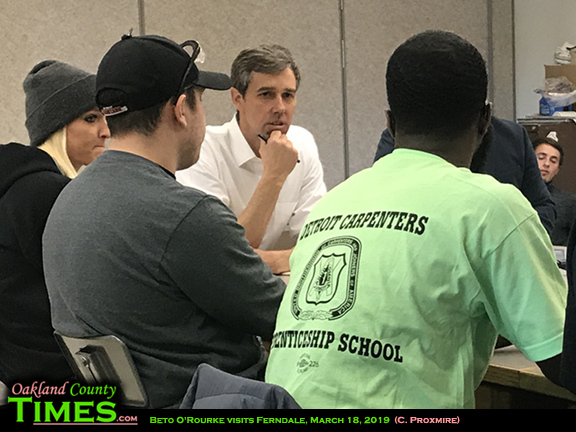 Among the carpentry students selected for the discussion were Lincoln Park resident Brandy Reid and Malcom Kennedy of Detroit. 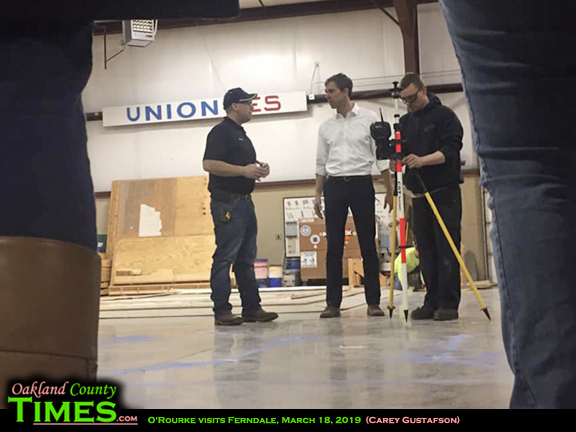 O’Rourke wanted to hear from the students about how they came to be interested in construction. 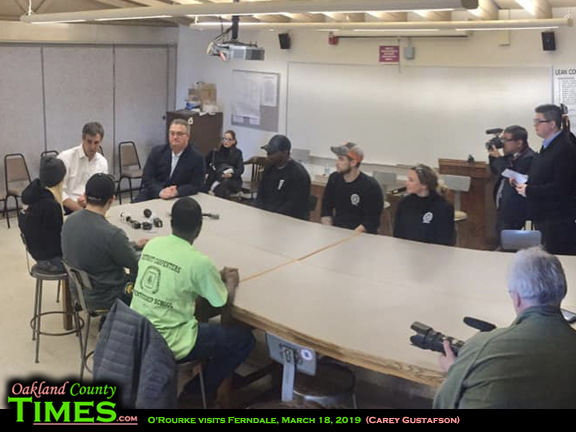 Reid shared that she had an experience with a project in her home that ended up with copper piping being stolen. 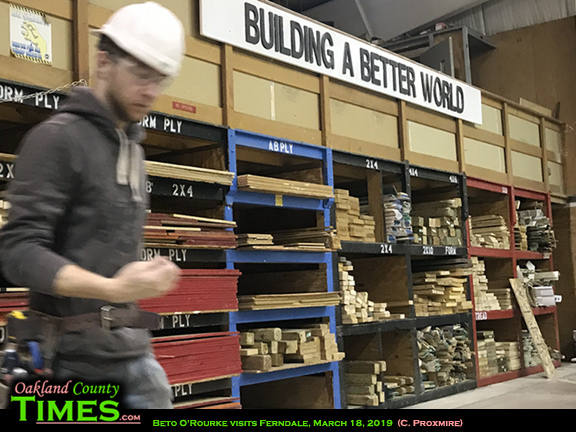 That frustration topped with trying to find good service to repair it, led her to a more proactive approach. 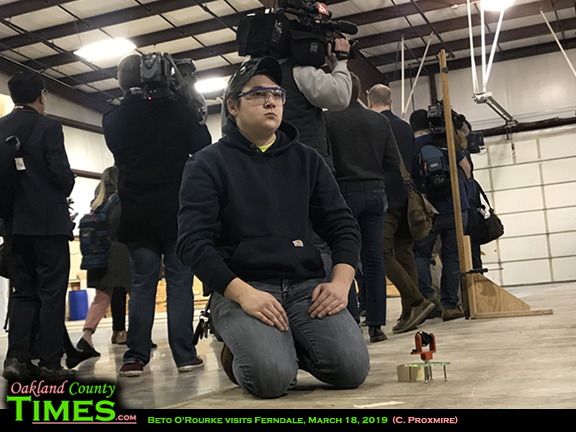 “After a point I just thought, I’ll dive in and learn it myself,” she said. 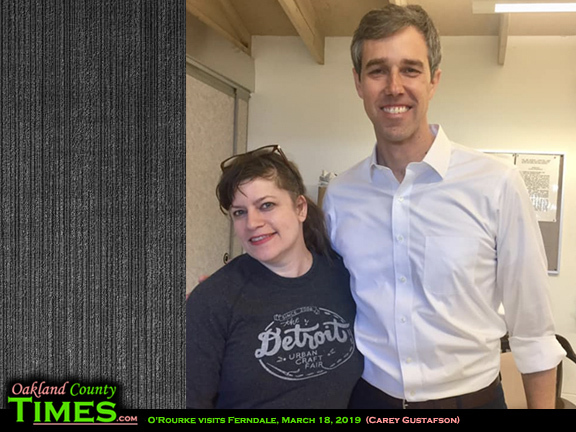 She is in her second year of the four year program.